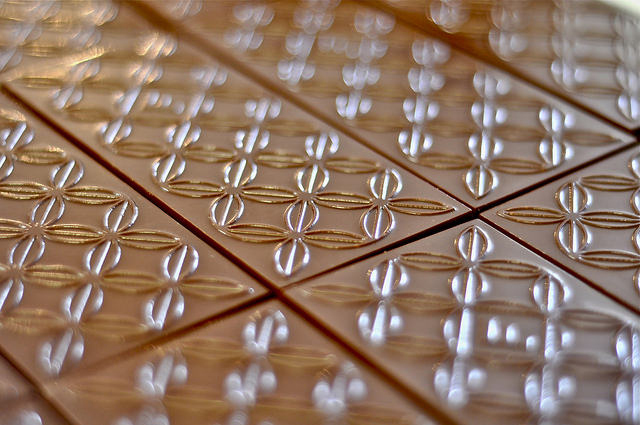 Shokan-born Fruition Chocolate celebrates a big award and a big birthday this month. Photo courtesy of Fruition Chocolate. The white stuff is already upon most of us, and the winter holidays are just around the corner. It’s time to order your Thanksgiving treats from local farmers and bakers and savor the grand finale of the 2016 harvest season. Here are a few happenings around the Catskills this month. Got an event to share? Tips are always welcome. Fruition Chocolate Fifth Anniversary Celebration: Saturday, Nov. 5, 5 to 9 p.m., 3091 Route 28, Shokan. In just five years in business, Fruition Chocolate has racked up an impressive array of industry awards, including recently bringing home multiple medals and a “best in competition” nod from the 2016 International Chocolate Awards. With so much to celebrate, proprietors Bryan and Dahlia Graham are throwing open the doors of their Shokan workshop for an open house party. Sample Fruition’s award-winning bars and seasonal confections, along with goodies from fellow Catskills artisan food and beverage producers and purveyors. Look for cheese by Cheese Louise, beer from Newburgh Brewing Company, spirits from Tuthilltown Spirits, and shrubs from The Hudson Standard. Admission is free; RSVPs are requested. ShakesBEER Read-Along: Wednesday, Nov. 9, 6 p.m., Reynolds & Reynolds, 104 Mill Hill Road, Woodstock. A mash-up of beer and the Bard can’t be anything but a good time. Woodstock’s newest tap room hosts a night of food, drinks and A Midsummer Night’s Dream. Troy’s Collar City Players lead this playful event, which began in the Capital District. Grab a script and join in, or just enjoy the show. There are prizes for the best first-time reader and the audience’s favorite reader. Read more about Megan Reynolds’ new beer-lovers’ haven in our recent profile. Supper Club at Heather Ridge Farm: Saturday, Nov. 12, 6 p.m., 989 Broome Center Road, Preston Hollow. No matter what the season, a meal at Heather Ridge Farm offers a unique feast in a great setting. Farmer Carol Clement and Chef Rob Handel raised guinea fowl to roast specifically for this late-fall menu, which also showcases Handel’s formidable charcuterie and fermentation skills. Among the five courses: creamy garlic soup, bratwurst, hot-smoked wild juniper cured pork loin, roast guinea fowl with hickory-mustard sauce, smoked sweet potato puree and roasted fall vegetables. Dessert is chocolate silk cake with walnut ice cream and candied chestnuts. Handel has also recently introduced house-made root beer. Reservations are required: 518-239-6234. Heather Ridge is a great source for Thanksgiving fare: order turkeys and trimmings for pickup the following weekend, Nov. 19 and 20. Details on that here. Holiday Pop-Up Shop: Saturdays from Nov. 26 to Dec. 24, Quarter Moon Cafe, 53 Main St., Delhi. Herbalist Lauren Raba of Catskill Botanicals hosts a temporary retail spot for Catskills makers and food producers, one of many opportunities to shop local this gifting season. Vendors include Holiday Farm Biscuit Company, Tay Tea, Slickepott Fudge and Caramel, Ommegang Brewery, Yankee Folly Cidery and Catskill Food Company, which will also offer tastings of its cured-meat specialties. Raba will teach weekly workshops on creating oils, tinctures and edibles from locally foraged sources. Proceeds partially benefit the Heart of the Catskills Humane Society shelter in Delhi.